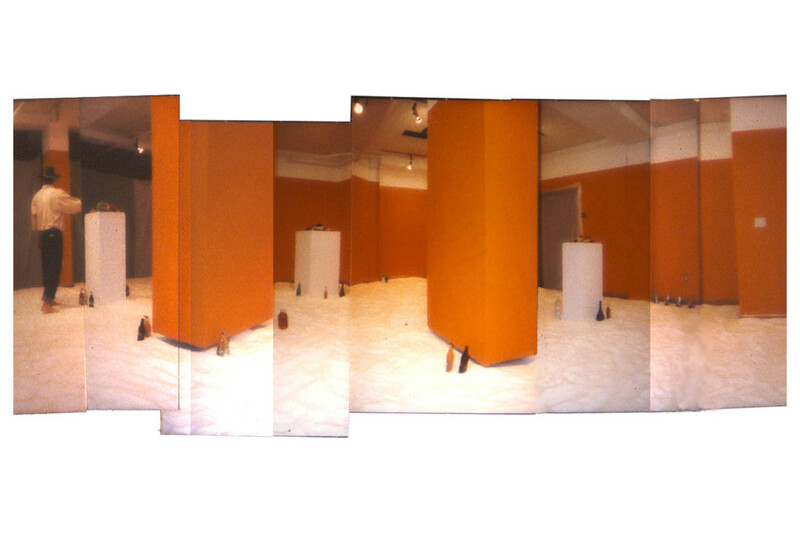 This project was the first of a series of guerilla installations that investigated the transformative power of simple materials used at an architectural scale. 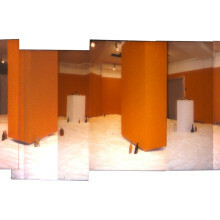 Created in two overnight stages in the lobby of the Bayard Ewing Building in Providence, RI, this project triggered large public response. 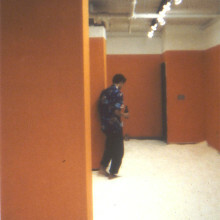 First the gallery walls were painted a vibrant orange to activate the unused space. 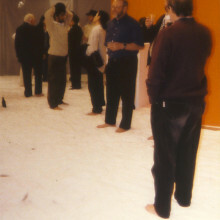 A week later the floor was covered 3” deep by two and a half tons of table salt. 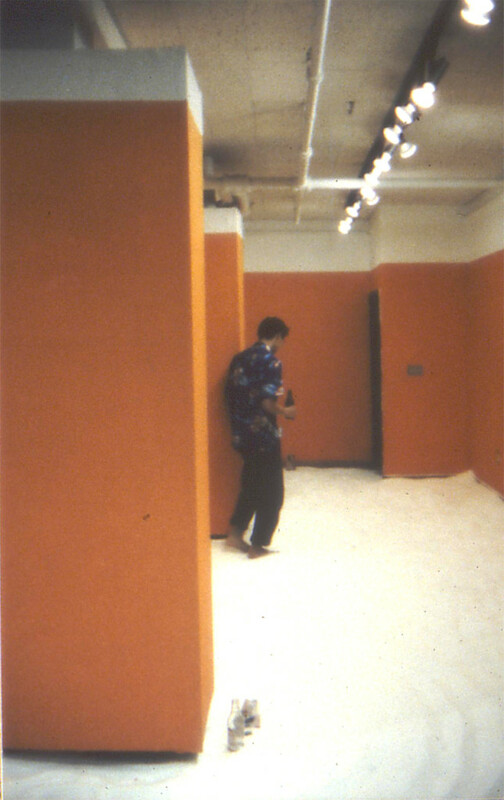 The salt intensified the orange and balanced the white ceiling, creating a blazing and contained atmosphere. 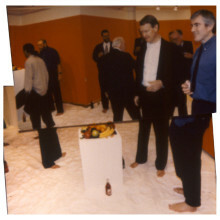 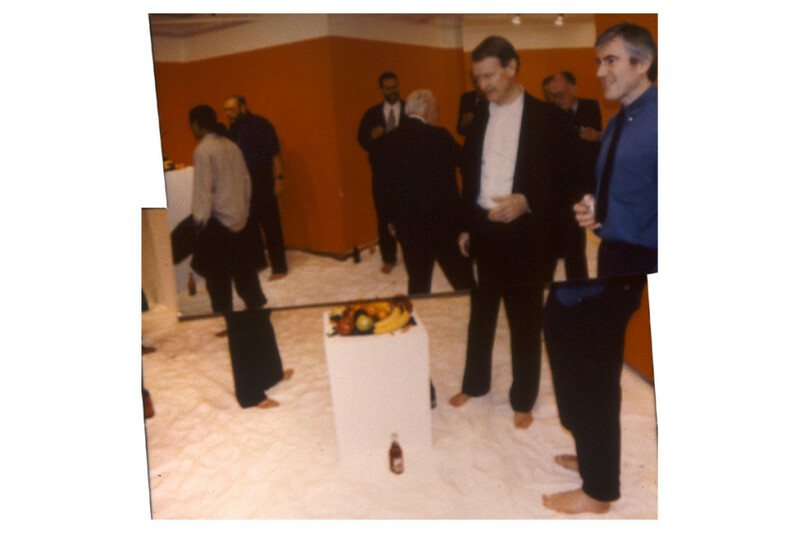 The third part of the installation was an opening for which lively fruits and beverages were delicately placed on white pedestal in the salt. 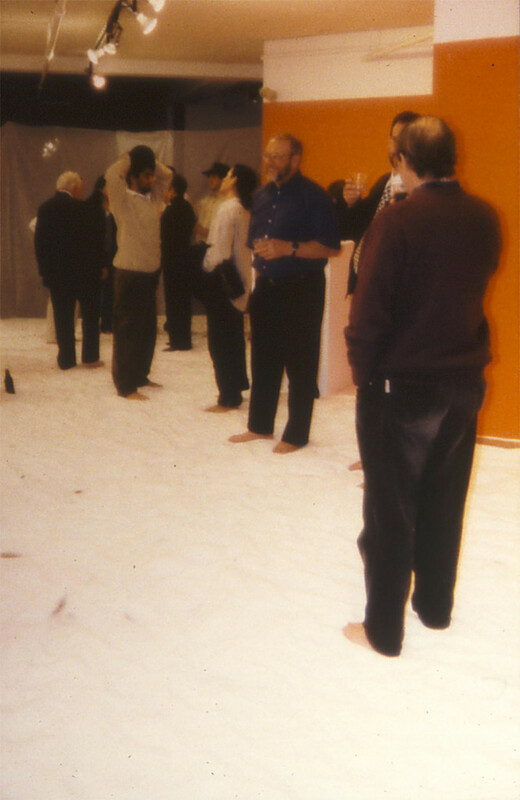 All visitors (including the RISD Board of Trustees shown in the photos) took off their shoes and experienced the salt with their bare feet.